There is much confusion about the NSA’s secret surveillance program Prism. It doesn’t record the content of all of our private phone and other digital communications. Rather, it stores so-called “metadata” about them for future reference, in perpetuity. By its own admission, the federal government is collecting massive amounts of ‘metadata’ on every single American. Metadata can actually reveal more about you than the actual content of your phone calls. The data points that are collected and stored in perpetuity are: call duration, call location, the number of both parties involved, time of the call, date of the call and other “unique identifiers.” Nowadays a private citizen can easily look up a number and find to whom it belongs. Don’t you think the NSA has a more effective listing system than the Yellow Pages that we have access to? • They know you rang your Senator and Congressman right after taking a call from your local Tea Party Chairman, on the very same day the local Tea Party started a campaign to stop their state’s ObamaCare healthcare exchange. But of course there is no way NSA agents could possibly piece together your political affiliation from that information. • They know you called your local school board more than you ever have, the very same month a new radical-progressive textbook was being imposed by Common Core. But no one could possibly guess what you could have been talking about; it was a private conversation, after all. • They know you spoke to your parent’s nursing home late one night. Early the next morning, you called a funeral home and then three different local banks in quick succession, and then a lawyer who specializes in wills and estates. The purpose of all this call activity could not possibly be guessed at. • And they would never analyze your metadata in conjunction with your internet search histories, which are provided to them by your internet service provider in bulk, rather than on a case-by-case with a warrant as the Fourth Amendment requires. • And surely none of this information would ever make its way to the IRS. 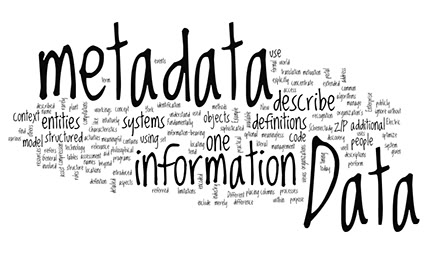 Metadata helps the NSA create a map or network of associations for every citizen. All the agency has to do is open its data storage tanks and run some analysis. And the metadata is being stored forever. After all, why would the government throw away such a treasure trove? Why would it invest billions in hyper-advanced data storage facilities just to delete it all every year or so? So, while Big Brother might not have the time to sort through all your information right now, that’s little comfort. If Big Brother ever wants to strip away your privacy and delve deep into your personal life, ALL the information he needs is right there at his fingertips. To be completely honest, I'm not at all shocked. I, and everyone else in the informed public should already know that the government has had this ability to intercept phone calls, and that they have the ability to do other extremes in monitoring U.S citizens. Personally, I also believe that the only reason they announced their ability to invade in private phone calls, is because they were confronted about. Hadn't they been confronted of it, the NSA would have not said a word about, and continued to invade mine and others privacy to their advantage. This article looks to me as though it was written to downplay the real and present danger of an anti-democratic executive that will stop at nothing to defend privilege and power. Freedom Works looks appears like a Government front to identify dissidents. I sense they pretend that they are a grass-roots lobbying organisation when in fact they are on the Government payroll. If I am wrong, then you had better show some serious aggression when Uncle Sam tramples on your rights, or you will be taken for a stooge. Great article. I had not even thought of how this data can be used. It's chilling to say the least. Here is what I fear and predict will happen if these insidious tyrants aren't stopped. The NSA will collect this data on each of us and then rate all of us as to our political affiliation. Health and Human Services will then use this data to determine whether we get life-saving medical procedures or not. Just like conservative organizations were denied tax-exempt status by the IRS, conservatives will be denied health care by Health and Human Services.